Yeah, you’re breaking figures down, but it doesn’t have to feel like crunch time. 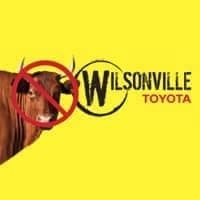 When you’re a customer at Wilsonville Toyota, we’ll take on the burden of making the numbers work in your favor. We’ll prove it, too. Our auto finance team is just as handy with customer service as they are with calculators. So whether you’re interested in a Toyota auto loan or a car lease, they’ll make sure to lay everything out for you so it’s easily understood. We’re here to make your new Toyota or used car purchase as carefree as possible. We invite you to get started by filling our online financing application. Or, if you’re more interested in speaking with us in person, visit us at 9155 SW Boeckman Road in Wilsonville, Oregon and we can walk you through everything involved in the financing process.